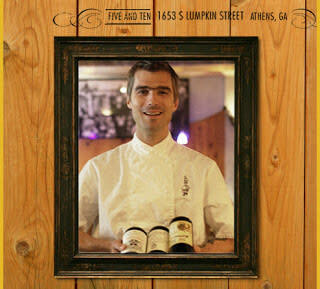 Local Chef Nominated for "Best Chefs in the Southeast"
Congratulations to Athens&apos; own Hugh Acheson, chef from Five and Ten, for his nomination in the "Best Chefs in the Southeast" category of the 2010 James Beard Awards! This is his second year in a row to be nominated for the award. Established in 1990, the coveted James Beard Foundation Awards recognize culinary professionals for excellence and achievement in their fields and continue to emphasize the foundation&apos;s mission to celebrate, preserve and nurture America&apos;s culinary heritage and diversity. Be sure to give a "congrats!" to Hugh next time you visit Five and Ten!